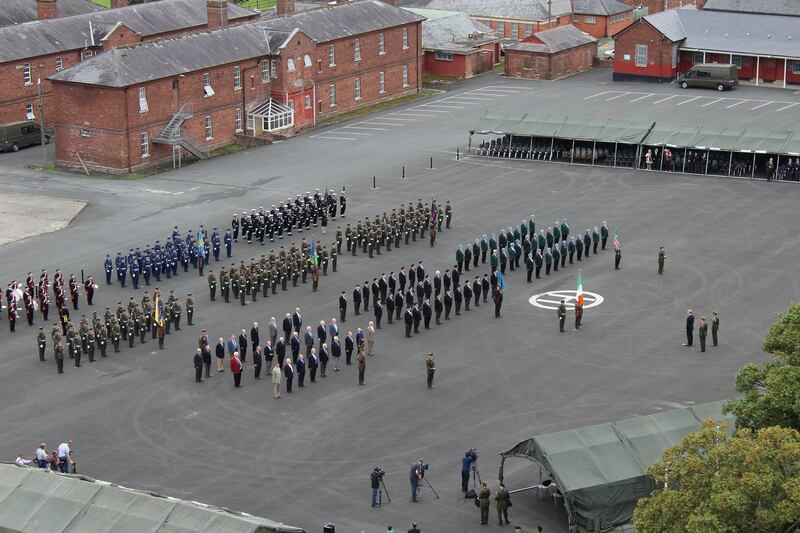 The 2015 Defence Forces Veterans’ Day will take place on Saturday, 12th September in Collins Barracks, Cork. All Defence Forces’ Veterans have been invited. The Minister for Defence, Mr. Simon Coveney T.D., the Chief of Staff and the General Staff will be in attendance. A shuttle bus service will be provided for Veterans, from Cork Bus station and Kent Railway station, to Collins Barracks (and return) beginning at 1045hrs and continuing every 15 minutes until 1900hrs. We ask that as many ARCO members as possible attend this event and participate in the ceremony. We look forward to seeing you in Cork on the day. A launch of Veterans' Day will held on Friday, 28th August at 1030 hrs in the NCO's Mess, Collins Barracks, Cork. Collins Officers' Mess invites all its members to attend this event prior to the usual Friday Club.